Well, can you believe it? Today marks the half-way point in our Advent Extravaganza! It also means that there are only 13 (unlucky for some) shopping days until Christmas… but that’s the bad news – the good news is, that, for most of you, there’s only five school days until the holidays! Yipee! * all of the above! 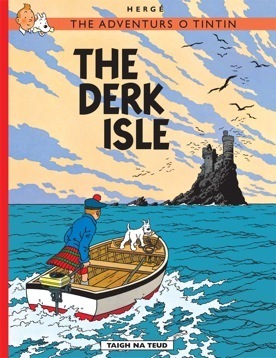 The Adventures of Tintin have been published in over 50 languages, and last year Tintin: l’île Noir was translatit intae Scots by Susan Rennie – The Derk Isle. Now to ring the changes, you have to answer the following question to enter the competition today! What is the name of Tintin’s dog? Tap out your answer to us on Twitter, FB or in the comments below! Anne Glennie is a Primary Teacher, Literacy Consultant, Trainer and the creator of Reflective Reading and founder of The Learning Zoo. Living on the Isle of Lewis she also has her own menagerie comprising: 1 husband, 2 children, 8 alpacas, 10 Hebridean sheep, 1 crested gecko and 1 French bulldog called Moomin. Question? 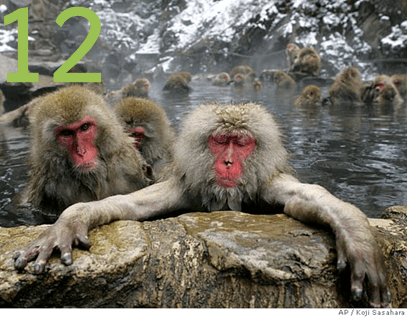 What is the easiest way to follow a blog? Snowy is the name of the dog.